The goal is to create a game that has some form of meaningful impact on the player's understanding of refugee crises throughout the world. There are many features we still intend on implementing that should help portray the story of displaced people. 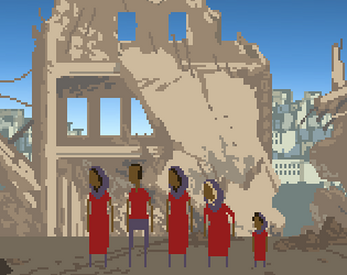 This basic prototype exists as the result of #ResistJam, and there is much more intended for a final product. There may still be bugs? System stuff like this is hard to test fully. If you find a bug, let me know in the "Community" section attached to the game on Itch. Thanks!